Charon’s newly-discovered system of chasms, larger than the Grand Canyon on Earth, rotates out of view in New Horizons’ sharpest image yet of the Texas-sized moon. It’s trailed by a large equatorial impact crater that is ringed by bright rays of ejected material. In this latest image, the dark north polar region is displaying new and intriguing patterns. 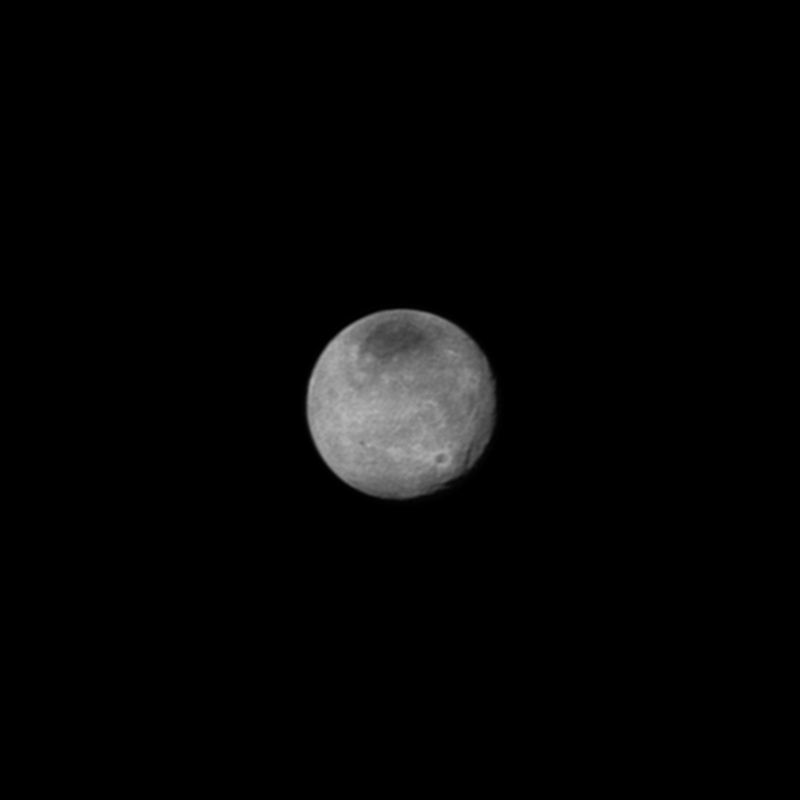 This image was taken on July 12 from a distance of 1.6 million miles (2.5 million kilometers). 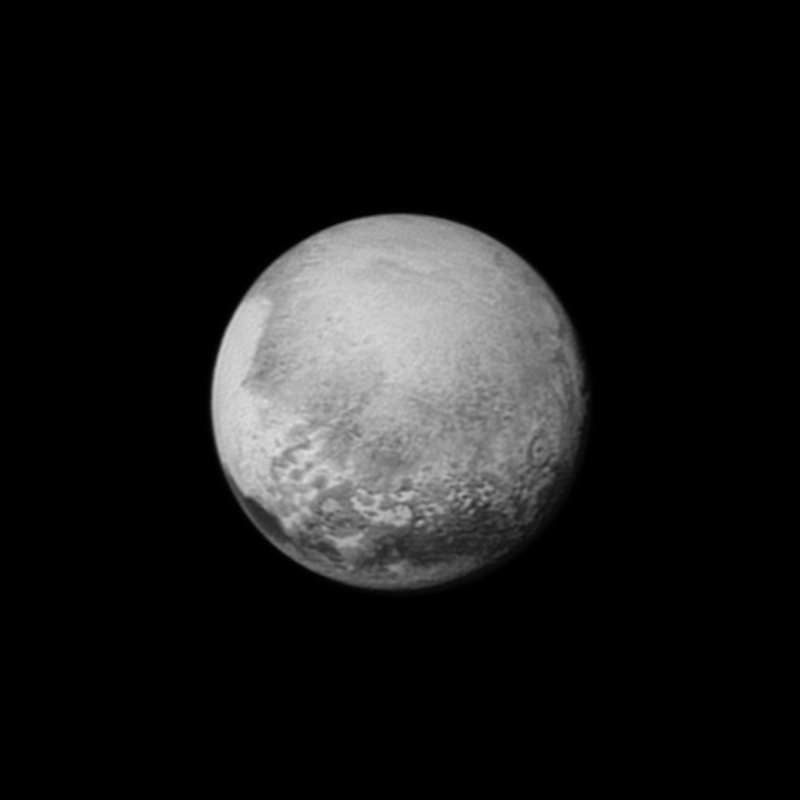 Pluto’s bright, mysterious “heart” is rotating into view, ready for its close-up on close approach, in this image taken by New Horizons on July 12 from a distance of 1.6 million miles (2.5 million kilometers). It is the target of the highest-resolution images that will be taken during the spacecraft’s closest approach to Pluto on July 14. The intriguing “bulls-eye” feature at right is rotating out of view, and will not be seen in greater detail. 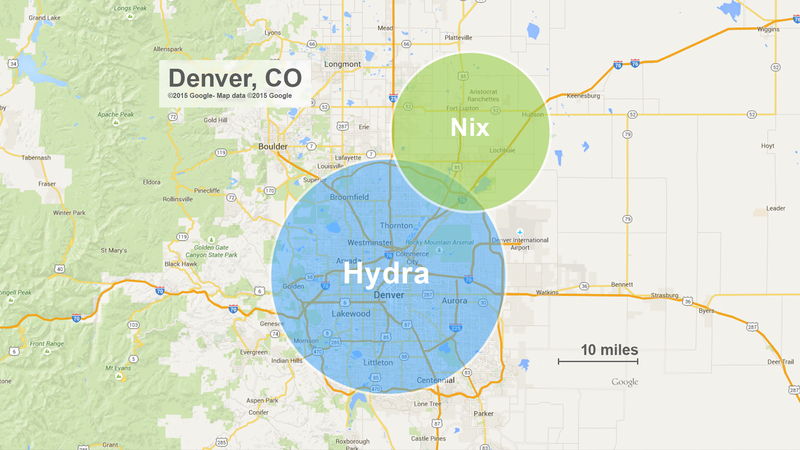 The approximate sizes of Pluto’s moons Nix and Hydra compared to Denver, Colorado. While Nix and Hydra are illustrated as circles in this diagram, mission scientists anticipate that future observations by New Horizons will show that they are irregular in shape.